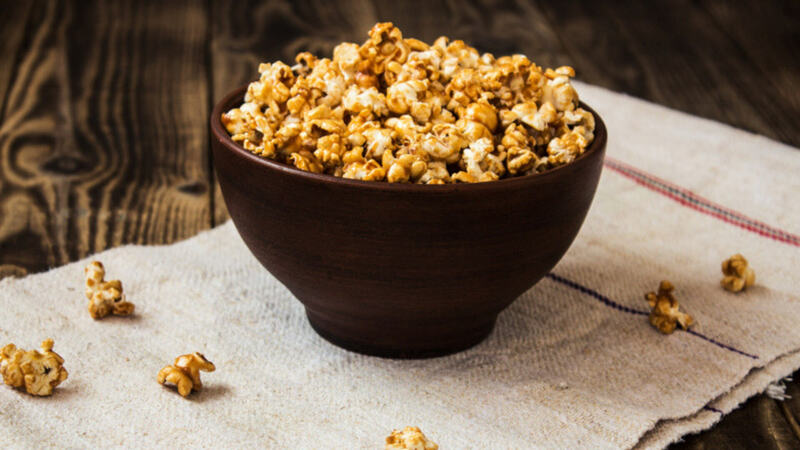 This alternative to your butter-covered microwave popcorn is high in fiber, antioxidants and protein. The healthy flavoring makes this snack taste delicious, without overloading it with sugar, fat or salt. This popcorn is great if you're on-the-go or if you fancy a scrumptious post-dinner treat. 1. Heat the coconut oil in a covered pan on a medium heat. 2. Add the popcorn kernels into the pan and allow them to pop, giving them a shake every 10 seconds. 3. Once the popping has slowed, take pan off the heat and allow to rest. 4. 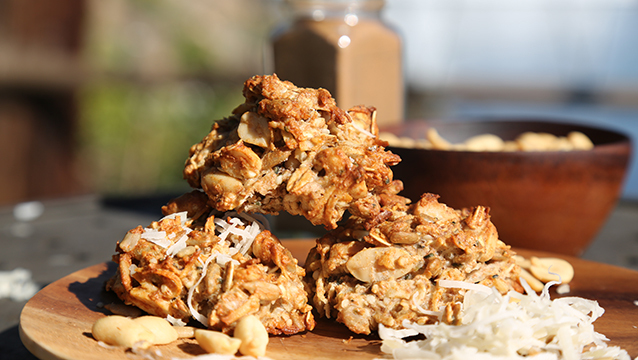 Add the peanut butter, protein powder and honey while warm and then serve in a bowl to enjoy!